Here is some information on Sonlight homeschooling curriculum. My review is at the end of the article. It's good to look at all your options and ask lots of questions when you are looking at different resources. You have decided to run the homeschool marathon. But what track will you run on? What curriculum will you adopt? This article will introduce you to Sonlight Homeschooling which is worth considering, particularly if you want a Christian-based curriculum and homeschooling adventure. As the name implies, the curriculum incorporates the many sayings of Jesus Christ who said that he is "the light which has come into the world." According to the company, it is "a Christian company specializing in literature-based home school curriculum programs" for preschool and grades K-12 and is based on "Literature-rich homeschooling." This means that their textbooks are filled with excerpts from literature, including movies and songs and other elements of popular culture. Because of its dependence on literature, reading aloud to students is an essential requirement for parents. It would seem that such a requirement would make the homeschooling experience more time consuming. However, the school states that "Despite our emphasis on reading aloud to your children in the younger years, Sonlight takes a relatively small amount of time when compared to classroom school." This author reviewed several of the school's textbooks and noted that even in its American history text, there was emphasis on God's providence in American history. Without a doubt, the company is true to its claim to offer a Christian-based curriculum which is critical to those parents who want their children to know that they serve a God who is active in the lives of humans. The company also offers a wealth of information and resources to parents who teach their children at home. 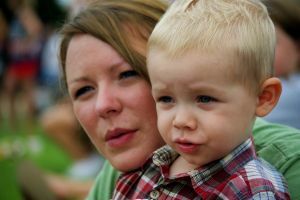 The school provides a website with numerous resources, including a parents' forum where parents can interact with each other as well as ask questions and share experiences. Perhaps of vital concern to parents is the fact that the school offers a number of opportunities for its students to win scholarships to attend college. These scholarships are quite impressive and add to the reasons why parents who home school their children should consider Sonlight Homeschooling as their curriculum provider. My Comments: Although Sonlight homeschool provides a wonderful curriculum, realize that not every family has to use a curriculum. I know several families that have successfully used Sonlight homeschooling curriculum. I used it for one year and enjoyed getting all the materials at once and having a plan for what I should do each week. I found the read aloud schedule a bit intense, so I backed off on that. Since then I have gone back to just choosing books and curriculum on my own. Someone looking for a good literature based program who wants a planned out daily log would really like Sonlight. I know many people just purchase the read aloud books through Sonlight because they have some great reading lists. I like the way they organize their read alouds to coincide with periods of History. 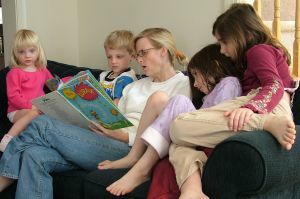 Their books are age appropriate and take all of the guess work out of figuring out what books to get for what children. As with any homeschool curriculums, you will want to make sure that you ask lots of questions and get a clear picture of exactly what you and your children are going to be doing for the year before you order anything.